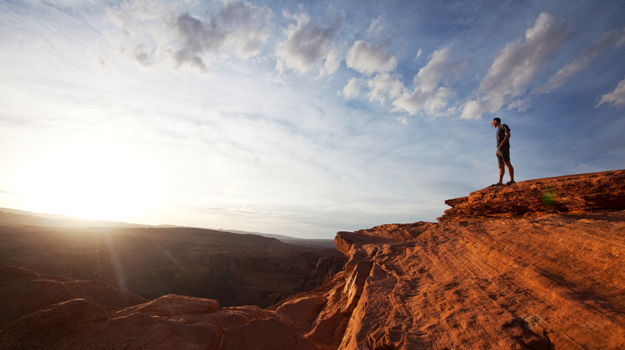 What better way could there be to get to know Utah than on foot? There’s an abundance of trails to explore wherever you are in the state, and it’s not restricted to seasoned hikers, with some of the most beautiful locations no more than a pleasant stroll away. There’s no need to exert yourself once you’ve taken in the view, either, with the option of a luxury helicopter ride back to your hotel waiting for you at the end of your trail. You don’t even have to venture out into remote desert, with hikes beginning just outside the cities: the Mount Olympus trail in Wasatch Front starts at the edge of Salt Lake City and offers great views of the Salt Lake Valley. 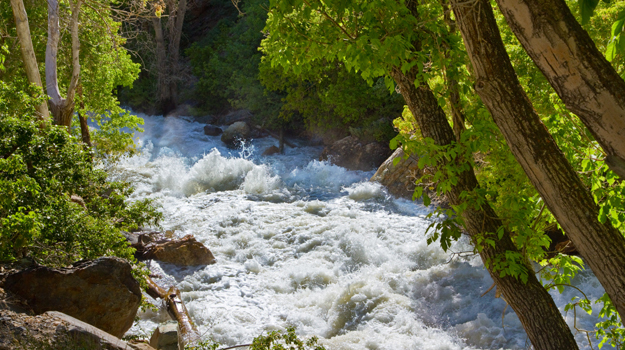 While it’s desert scenes that more often come to mind when we think of Utah, the Colorado and Green rivers offer some of the world’s best opportunities for white water rafting. With rapids graded from Class I to Class V, there’s something for you regardless of your confidence on the water: you can relax on the calm waters of Canyon Country’s Fisher Towers, or more intrepid rafters can tackle notorious drops like Satan’s Gut in Cataract Canyon. River trips are available state-wide which will allow you not just to enjoy the water, but to learn about Utah’s river lore and unique geology – you can even spend time with an expert archaeologist, who will teach you about the history of the local area. 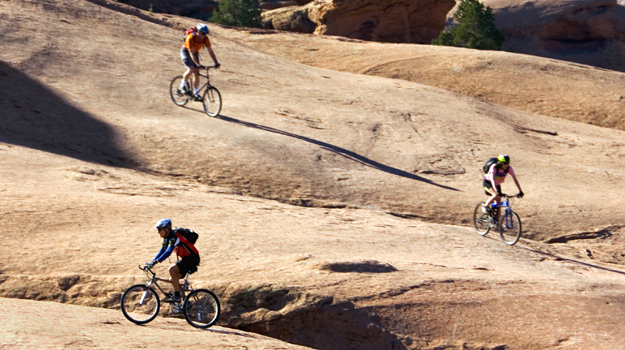 The desert town of Moab in Canyon Country is the centre of the mountain biking universe, and for good reason: its Slickrock trail is perhaps the most popular in the world, attracting over 100,000 visitors per year. Belying its name, the course’s sandstone rock is uniquely coarse and grippy, and it’s up to you whether to take it easy or tackle the more challenging sections with apt titles like ‘Steep Creep’ and ‘Faith in Friction’. If you’re after an altogether more relaxing experience, try the trails surrounding the quaint resort of Park City in the Wasatch Back, taking you on a tour of its mining history and into the picturesque Wasatch Mountains. To really explore Utah’s vast array of natural landscapes, sometimes you have to transcend the limits of horse and human power by getting behind the wheel of an all-terrain quad bike. 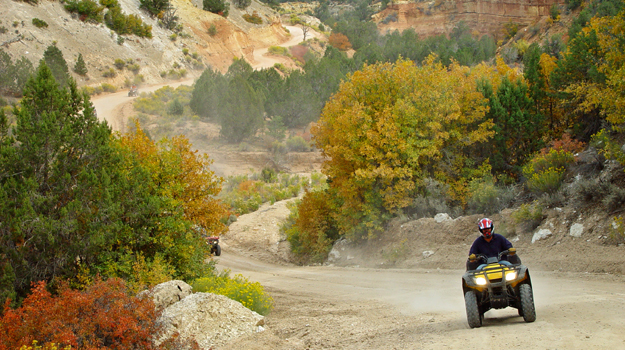 The Arapeen Off-Highway Vehicle Trail spans 350 miles of Central Utah, and features gentle sections ideal for families as well as more challenging sections for advanced off-road drivers. It also allows you to get amongst Utah’s lush alpine scenery, away from the astonishing rock formations for which it’s famous – we’ll help you take advantage of some of Utah’s most beautiful and secluded spots by arranging a luxury champagne picnic lunch. The Arapeen Trail includes the beautiful Skyline Drive, which allows ample opportunities for camping, fishing and hunting. 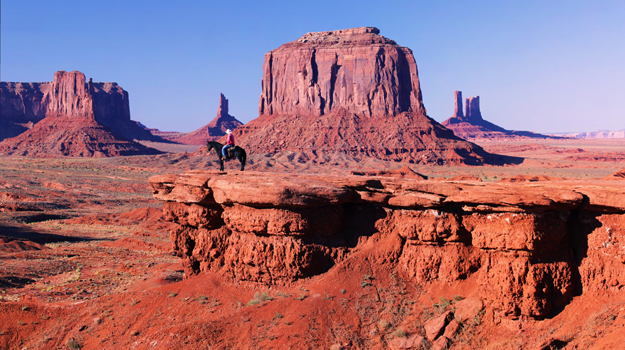 Retrace the tracks of Butch Cassidy by exploring Utah’s national parks on horseback, unchanged since the days of the Old West. The Zion National Park contains a wide array of scenery, from alpine forest to red desert, and offers riding options to suit all ability levels. Horseback is also the best way to see Utah’s wildlife up close, opportunities which are lost if you’re travelling by car when animals easily get spooked. Zion’s fauna includes cougars, rock squirrels, coyotes and jackrabbits. Stay at the modernist marvel that is Amangiri for an exceptional base in the desert or rest up at the more traditional Sorrel River Ranch, simultaneously a rustic retreat and a base for epic adventures, or the cabins at Zion Mountain Ranch to explore the landscapes during the day before winding down with s'mores around the camp fire at night.